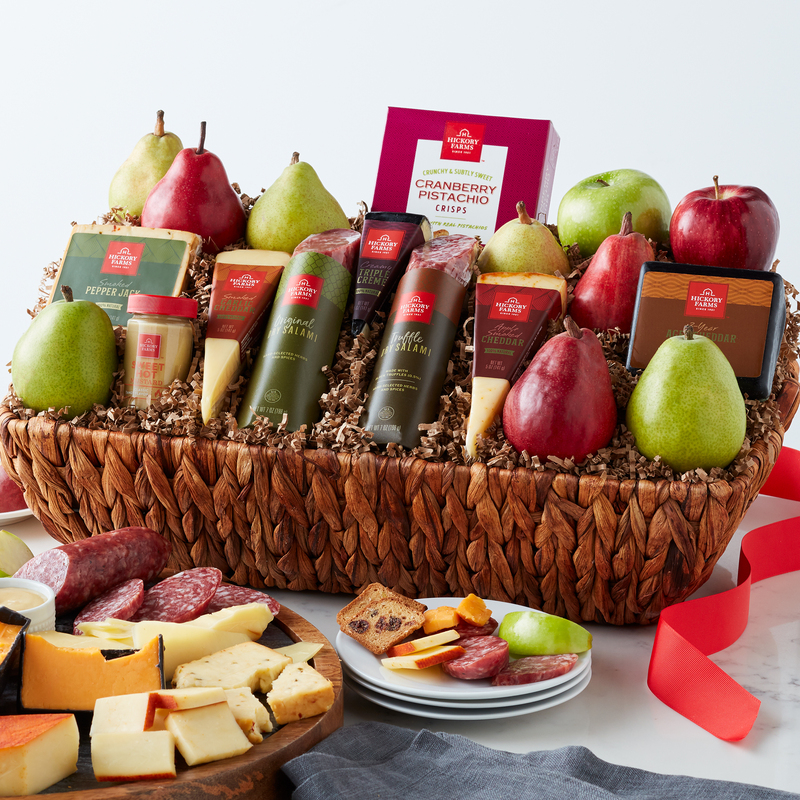 This gourmet gift combines our savory favorites with fresh-from-the-orchard fruit. Truffle and Original Dry Salami, Apple Smoked Cheddar, Smoked Garlic Cheddar, Triple Crème, 3-Year Aged Cheddar, and Smoked Pepper Jack all pair perfectly with our famous Sweet Hot Mustard and sweet and crunchy Cranberry Pistachio Crisps. Slice the fresh pears and apples for a delicious charcuterie spread that's perfect as a party appetizer or a snack shared among friends.